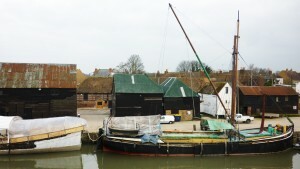 Jon Henley’s excellent article was in G2 today and online at http://www.guardian.co.uk/world/2011/jan/10/standard-guay-thames-barges . The BBC were on the Quay today so presumably there will be something in the local news tonight. Many people ask what they can do, and perhaps the best thing at this stage is to try to ensure that Swale Borough Council are aware of just how much interest there is in Standard Quay and the activities there. Standard Quay (Faversham) Ltd’s lease is ending and there is nothing anyone can do about that. What we can do is make damn sure that there is never any question at all of the Quay being developed. 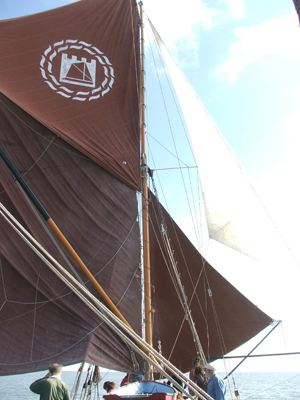 Any owner will then have to run it as a maritime site with the only development potential being to ensure its continued survival to support Thames Sailing Barges in particular and large traditional vesssels in general. Any investment that needs to be made should have that intention at its heart and certainly won’t begin with double glazing or improved parking let alone with restaurants or gift shops. In the first instance what would be to allow the vessels to use more than the 10′ of quayside we are currently confined to so that garden centre customers can park on the rest of the Quay (not that there ever seems to be any particular need for such huge amounts of parking). To find a template letter and a list of possible people to write to to express your views please visit the excellent www.thequayfilm.net and scroll down to find a link to some suggested actions. We are working on a site for a petition which will hopefully be up soon. Thank you for all your interest and support so far. Standard Quay (Faversham) Ltd received the final notice to quit just before Christmas and media interest is hotting up. Look out for an article due to come out shortly in The Guardian written by Jon Henley. It should also appear on their website. A link will be attached as soon as it is published. The situation is currently very dangerous a new report out is worded in such a way as to give new hope to speculative developers who will wish to maximise profit from the land. Please visit the excellent site www.thequayfilm.net which shows a documentary about the Quay, what will be lost, or more optimistically, why it should be saved. Please do register your support somewhere. Either directly to the Council or on this site or the film site. The issue is that Standard Quay really is more than just a boatyard. It is a working Quay. It is a vital working link between the town of Faversham and the sea. It is part of a working waterway. It is much more than just a tourist attraction. It is in many ways Faversham’s heart. Stop and talk to any one of the people who work on the Quay and you will find that they don’t just work here. They live and breathe Faversham with a passion. They are skilled craftsmen who work in a real life heavy industry. They will not be able to work in a chic setting of smart shops, restaurants and loft apartments. Real, working Faversham is not like that, which is where its unique attraction to visitors lies. Thousands of people visit the Quay every year. They walk the Saxon Shore way, unobtrusively observing the vessels, the buildings and the work that goes on here. Artists quietly set up their easels and record the activities. They will not come to see just another bit of fake kitsch. They come because it is different and it is real. The sad situation today is that the current lease ends in 2011. Despite protracted negotiations there seems little prospect of the current landlord granting an extension of the lease. There is no reason to believe that any alternative management would be as sympathetic to the unique requirements of a yard for traditional vessels. In our view the listed weather-boarded buildings and the quayside are ideally suited for their current use. Any alternative use would require substantial refurbishment and alteration of the buildings and would irreparably change the entire ethos of this unique area. This is not a site that can support significant commercial gain directly. It generates economic benefits for the surrounding area and the town, as the Creek always has throughout its history. Trying to make profits from it directly will simply not work without resulting in its destruction. This site sets out what has been achieved and what could be achieved. We have a few months left to save the Quay. A comment box below contains an email I have sent to Councillors today (3rd December 2010). It may explain our issues with the current council planning document. Please write to support us in opposing the unnecessary changes it suggests – most particularly that shops and restaurants will not only not add to the visitor appeal of the Quay but will actually kill it as it will simply be unable to work and certainly won’t be able to expand its activities. If after viewing these pages you wish to comment in support of our aims, please do add comments to this blog or sign up for our newsletters to keep up to date with the campaign. Alternatively see www.thequayfilm.net or join the discussion at www.faversham.org (go to the Forum and find Hot Topics). We can use them to show support. Or write to us at info@standardquay.com or write directly to AlanBest@swale.gov.uk at Swale Borough Council and the Faversham Creek Consortium via NatalieEarl@swale.gov.uk. If you could send us a copy of your email that would be much appreciated. You should be organising a petition via Facebook or letter-dropping, or getting a celebrity on to this, a segment on the TV or papers, or it will be the end of Standard Quay as we know it. My husband and I live in Australia and visit the UK about every 2 years, and Faversham is always the highlight of our visit. We have been out on various barges and relived a by-gone era kept alive by dedicated enthusiasts. It must not be allowed to be sacrificed on the alter of profit – that era is fading as we realise that heritage is beyond price. I will be the first person to sign a petition, or write letters to the decision makers. I will start right now. yours sincerely, Claire Bettington, Sydney, Australia. I think Standard Quay is brilliant even as it is at the moment, the traditional vessels and buildings perfectly complementing each other. 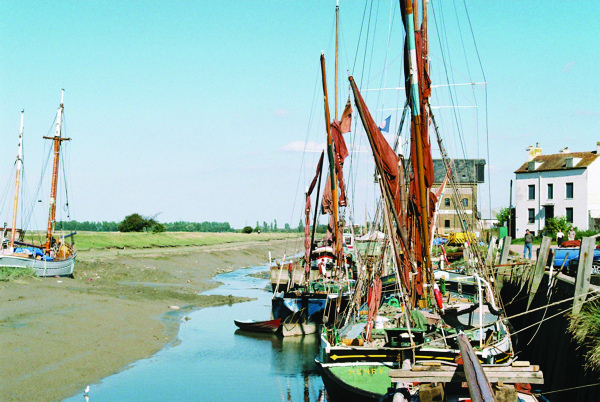 Your future aspirations would make it, and Faversham, extra special, for visitors, residents and boating people. Standard Quay is a rare example of original buildings being used in a unique and traditional way of which Faversham should be very proud. We all must do whatever we can to protect this special place. I am writing to you as members of the Committee considering the Tony Fullwood report. I write on behalf of Standard Quay (Faversham) Ltd the company which rents (and pays a professionally agreed full commercial rent for) the buildings and moorings at Standard Quay, Faversham. You will be aware that our lease expires next summer and that it will not be renewed by our landlord. 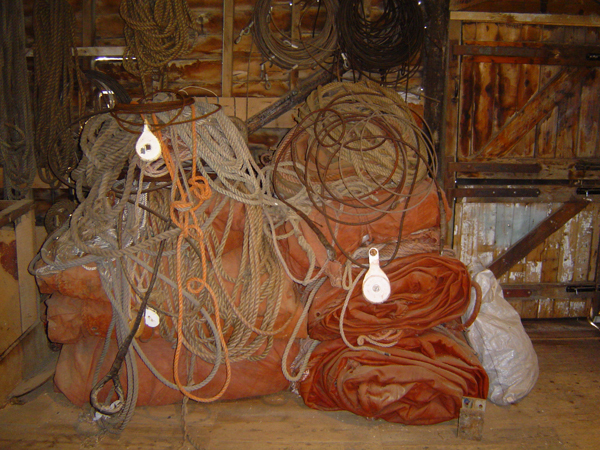 We have always paid and are prepared to continue to pay a commercial, (not peppercorn or in any way reduced), rent for the premises we have used for traditional boat building, repair and maintenance for the past 17 years. We now have a potentially expanding apprenticeship scheme on the Quay. Unfortunately, the fact that our lease will not be extended and the limitations on our operations imposed recently have already damaged the development of the activities at the Quay. We use the buildings in their entirety for our business and we would like the opportunity to demonstrate to you the reasons why the plans which are now up for approval in the Tony Fullwood report will fatally damage the potential to provide employment, training and regeneration at Standard Quay. These things are already there and, apart from the current constraints imposed by our landlord Quayside Properties Ltd, (a company registered at Companies House as being for the “development and sale of land”,) we would be expanding and improving the very successful operation we have there. The fact that we can continue to operate from the buildings and the very narrow strip of land that we were confined to by a recent court case, is testament to the commercial success and potential the Quay has under its current guise. It does not need the additions proposed to be commercially successful and indeed these will damage its future irreparably. We have previously made an offer of commercial value plus 50% for the Quay and the buildings but this offer was rejected. We have made subsequent requests to negotiate on a sale but have been ignored. We made a similar offer for the building and yard previously occupied by Faversham Fencing and this offer also was turned down. We have not asked for public finance to buy the site. What is planned in the Tony Fullwood document will increase the appeal of the site to speculative development and remove it permanently from use as a working boat yard. We would, at the very least, appreciate the Council’s understanding that such moves as changing the flood designation to allow other development than that related to the Creek, and encouraging the possibility of restaurant or retail use of the weatherboarded buildings, will increase the speculative value of the land at Standard Quay and render it impossible to continue to use it as at present. The mere mention of residential use, even in the most discouraging of terms, in any part of the Quay will damn it for ever. . In an ideal world we would appreciate the assistance of the Council in progressing a purchase of the site for ownership by a public interest company which would continue to run it in line with its current success in providing: the employment now there (but under threat); new employment; an expansion of the training we already do; dredging of the area of Creek we use and regeneration for further areas of Faversham Creek. 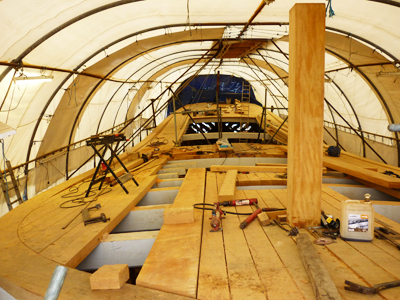 It is difficult to explain the scale of operations involved in large traditional vessel building and repair and why these are incompatible with shops and restaurants without being on site. We therefore would like to invite you to visit the Quay on Friday 10th December at 2pm so that we can properly explain the issues. Moved by my long-time friend Gavin Atkin (boat – designer, builder and owner), I’d like to add my two – pennorth as to why a redevelopment scheme as apparently sanctioned would be such a disaster to Standard Quay. What is it about councils that they only seem interested in the fast buck rather than in long – term values and opportunities? People with more knowledge than me have spoken at length about the real, traditional, maritime industries taking place here (and for many societies and cultures, this alone, would be reason enough to perpetuate the site). However, as has been said, this is also a vistor attraction, not just for tourists but for artists, photographers and boat enthusiasts alike. The visitors, at least, understand the importance of maintaining industries based upon our rich maritime heritage and history. In the long -term, were the council able to envisage it, there HAS to be commercial opportunity here. In the U.S., with, as they see it, a bare 200 years of history behind them, the Americans peddle every bit of it for all it’s worth ( some might think a bit tackily at times), but at least they are able to keep sites like this working. As such, Standard Quay could, alongside so much else of interest , be part of the Faversham Tourist Trail, but consider a way of charging for it like everybody else in the world does for cultural heritage display. As I said, it’s a lot more valuable proposition than any immediate return to be gained by turning the site over to spiv developers to our apparently insatiable desire for apartments. Please continue your fight to save this highly important, historic and living tribute to our past and hope for the future. The apprentices trained in the skills shipwrighting and barge building obtain the sort of skills that be utilised in many industries, just the sort of people to help us out of recession. Good luck. T would like to leave a brief note as a Swale resident and someone with a hobby and professional interest in the maritime past. Standard Quay is a very valuable asset to the area for what goes on there now rather than as an expanded retail and residential site. In the last few years the area has lost several sites of this type such as the established boat yard at Conyer, and the Sailing Barge Museum site in Sittingbourne. Surely it is stupid to surgically alter this area of Faversham now at a moment of healthy expansion with new shipwrights apprenticeships schemes underway etc It is an iconic site for the whole region and any development should be modest and inkeeping with what is already established which draws in visitors by land and water from all overe the world. I’m sending this on behalf of a community enterprise which is trying to buy a historic building in Sheffield, currently housing many crafts and creative people in low cost workshops. I’d like to say how important our cultural heritage is, and how fragile it is in the face of pure commerce. We wish you every success in keeping Standard Quay going as it is – it’s clearly very special and one of those places that reaches back into history and continues into the present. Please continue your fight to save this highly important, historic and living tribute to our past and hope for the future. The creek is enhanced by Thames Sailing barges, and these boat building traditions, they must be saved at all costs. Standard Quay must be saved! My name is Giacomo De Stefano, I was an architect and now I am a traveller and filmmaker, I live in Venice. I know very well this sort of things, living in Italy. We had thousands of crimes against the intelligence, the nature and our lives in the past years and still today. And this is what we are talking about. A crime against the history, nature and human beings. The damages we made are actually impossible to erase and will affect the next generations, maybe for ever. Faversham can produce much more “positive economy” from the preservation of the Historic Quay rather than some bulduings and some restaurants, or even one restaurant. When I talk about Faversham I talk about the Historic Quay, and about Cambria, and about the Iron Wharf and the fantastic people who leave there, carrying on traditions and love for the art of boatbuilding. That is beauty, and, in my humble opinion, intelligence. I have serious doubts about a future without the Quay, for Faversham. I would never come back again for instance, and so many of my friends from all over the world. there are many interesting little historic town in Uk, and Europe. But not so many with such an heritage. I came to Faversham in May 2010, to meet Bob and Lena, who helped me so much during my rowing trip from London to Istanbul on a little boat. The trip, called Man On The River (watch the Faversham post and videoclip at http://www.manontheriver.com/2010/05/10/winds-and-tides/ ) had the aim to promote and talk about local and sustainable economies, a slow and clean way of travelling and water protection. I will continue, from Faversham, in April 2011. And I will do all that I can to spread the problem to the international press, before and during the departure. I would like to come back and see and talk and report about Faversham as an intelligent example of sustainable economy, for the advantage of the many, and for a long time. Not, hopefully, as a stupid and selfish action for the profit of a few business men. Don’t leave Faversham to the stupid. Please. I just want to echo all the comments made by so many other people. Whatever happened to vision, and the ability to think more than a couple of years ahead? Good luck to all involved in the campaign. My email supporting the effort to save Faversham Creek was addressed to our local MP, my local borough Councillor and all members of Swale’s Planning Committee, KCC education Committee Chairman and others, such as representative of The Barge Association. I can find nothing on the Barge Assn’s website to show they are supportive. All members of the Planning Committee’s web addresses turned out to be defunct. What’s new? why do we allow these people to “represent” us when we cannot contact them. If Standard Quay is to be turned into a Tea Room come souvenier shop complex, where would visitors park their cars? There is very little space for parking on the quay and I feel sure the residents of Abbey Street would have something to say about anything that would stimulate more traffic and competition for parking in Abbey Street. Anybody who knows the area should realise that to build accomadation on the site would be at the cost of part of Favershams heritage. The Borough Council have very little understanding of Cultural Heritage or the interest of Faveshams residents. A good example of this around the creek is the loss of the public right to walk along the creek front between standard Quay and the bridge. This is despite the fact that when the Planning discussions for the development were in progress, Cllr Michael Henderson raised the matter at an area commitee meeting that took place at Graveney village hall in Sandbanks Road Graveney. He requested that the planning department ensure that a public right of way be maintained along the frontage of the devlopment in order that Faversham residents might walk the creek frontage. After the buildings were erected it was acknowledged by the Borough Council Planning Department that a mistake had been made. Personally I am still waiting for this to be put right. As an example, this should demonstrate that if we as Faversham Residents and anyone interested in Maritime history would like to preserve this part of our heritage, we should give our full support to those who are attemping to preserve Standard Quay for the purpose that it has been used for many yeas. I am writing from the perspective of a tourist and I am deeply disappointed to learn that Faversham may be about to lose Standard Quay. I visit family in Faversham once or twice a year and sometimes I bring Canadian visitors with me. We get our fill of “touristy” shops and restaurants when we visit Canterbury. I love to bring people to stay in Faversham and to show them around the town because its rich traditions and history flow seamlessly into the present rather than being wrapped up in neat little packages for the tourists to admire. I am proud to show them that Faversham has a working boat yard, just as I am proud to show them that we still have a working brewery and a wonderful parish church, which welcomes visitors, but still feels like a place of worship for the community rather than a tourist attraction. In fact there are many wonderful spots and streets in Faversham where I am proud to take visitors, precisely because there is not a souvenir shop on every corner. Faversham already has a nice choice of good restaurants as well as gift shops and antique shops that appeal to tourists. Tourists will not be attracted by more of those sort of things as they can be found in many, many towns. They will come to see something that is more unique, such as Standard Quay. From what I’ve read, Standard Quay is a useful and productive boat yard and an industry that provides jobs for skilled workers. Faversham should be doing whatever it can to hold onto these jobs. There has already been development in the area around the creek and I understand that, but Standard Quay is a functioning piece of Faversham’s heritage. That is what makes the area special and I sincerely hope a way can be found to keep it. What a horror story. Shame on the owner and would-be developer of this tiny, but vitally important gem of maritime history; and shame too on the short-sighted local town councillors who are doing nothing to help preserve the traditional skill-base of the dedicated craftsmen who work here. More tea-rooms, restuarants and gift shops? They are not needed and not wanted. More ‘luxury’ appartments? The country is awash with so-called ‘luxury appartments’ which can’t be sold. Who on earth would want to eat a meal while viewing the featureless ticky-tack housing development on the opposite shore? or buy yet more imported Chinese tack from a gift shop? If this tidal creek is not used by commercial craft it will silt up very quickly and who then will want to come anywhere near it? It is sadly ironic that it has been left to a handfull of 100-year-old Thames sailing barges to keep this place open. This is yet another crippling stab at Britain’s working maritime heritage in a slow “death by a thousand cuts”. As one of your correspondents has already said, “… another stab at Britain’s working maritime heritage…”. How true. Both Dockyards (Chatham and Sheerness) closed; related skills lost; employment very scarce; housing in north Kent crowded and ill planned. How much more can the area take? Leave what little heritage, space and enjoyment we have well alone. This is lunacy of the first order. The council must recognise the extraordinary value of Standard Quay to the town, and act to stop what is clearly nothing more than a move to ‘add value’ for the owner. That this would strip the town of a highly valued social and cultural asset matters nothing to such people. Their plans must be rejected, not on matters of detail – they will always be able to change the detail – but on principle. Standard Quay was built by, preserved by, and worked by, people who love her. It is a place where people work together as a community, and their work, and their love and care for their history and their art is felt through the entire community. The spirit that lives there moves within, and enriches, the whole town. When will councellors recognise the cold-hearted calculating nature of big businesses, and the way it destroys the hearts and souls of communities. They intend to strip-mine the results of the hard work and good will from people who have dedicated their lives to keeping the incalculable value of a living connection with our ancestors alive, and accessible to our children, and their children. What they care about is simple profit, the bottom line; not people, not children, not communities, not culture. Not history, nor stories, nor skills, nor jobs. The dead husks of once beautiful things will be kept to serve the purposes of their salesmen. When the mine is empty they’ll be gone, and something of inestimable value to Faversham will have died for ever. Councellors, you will be responsible. You seem to be intelligent as well as articulate people, so i am sure you have realised that even if you manage to stir up a sizeable petition, at the end of the day, it will be a legal decision. Public opinion is one thing, but when it comes to property, possession is 9/10 of the law. So unless you can raise enough to buy it from the current owner, my guess is that you would need to get some of the buildings marked as listed by English Heritage. The one person i can think of who might just tip the balance is HRH Prince Charles, who is fond of old architecture and was the Patron of Operation Drake. Best wishes. PS talking of petitions and campaigns, please allow me to mention the “Worldwide Petition for Peace”. This petition is really of most benefit to those that trouble to sign it, for it positively affects their individual sense of peace when they do so. The special crafts that make this working boatyard should take priority. What an elegant shape has the Cambria. Well done Bill Collard. I was horrified to read in the recent Coast magazine tha this historic resource was to be lost. I assume The National Trust and/or English Heritage have been approached to help. The NT are usually very supportive of retaining old crafts. Only yesterday I saw how they had rescued the last traditional spade maker’s workshop in Norther Ire,kland. It is absolutely wicked that the resident barge and boat building businesses at Standard Quay should be ejected by yet another unscrupulous developer. To even contemplate the desecration of those lovely old sheds is unbelieveable. Once they are gone, they are gone forever only to be replaced by another souless stack of twee yuppy boxes. Everythng should be done to regenerate the creek(s). Including reinstatement of the flushing operation from the creek behind morrisons. It is becoming a sad disgrace and if allowed to get worse, it will ruin the best feature of the town.